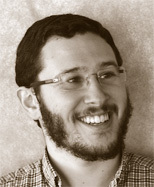 Max Shron is a New York-based data strategist. He provides expertise and mentorship to organizations across a wide array of sizes and industry verticals. He spearheads complex projects and provides a critical look at how organizations use data. Max was previously the lead data scientist at OkCupid, where he did data work for the widely read OkTrends blog. His personal work has appeared worldwide, including in the New York Times, Chicago Tribune, Huffington Post and on WNYC. He holds a degree in Mathematics from the University of Chicago. This webcast examines a framework for incorporating ideas from other fields (like design, argument studies, and consulting) into Data Science.